Here is another Steve–related post. 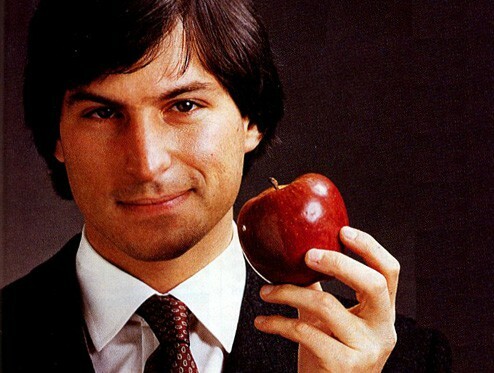 It’s the third one this week, and here we’re going to tell you the story behind Steve Jobs. This wasn’t focused on during the first post which tackled all about his death. Forget about his death, let’s talk about his life, and be inspired from it. Steve was an unwanted baby from the beginning, hence he was put up for a adoption where another set of parents came into the picture. This is a strong message for all you pregnant mothers out there contemplating whether to keep the baby or not. Just imagine the world without Steve. Who would have known that this “choice” is going to be a gift to the whole world. Who are you to judge what this baby is going to be. The parents that adopted him is not the best parents on earth. They are financially challenged, and he learned to accept his life this way. A lot of doors are closed for him, even the right to get education is closed – up to the very end. Steve drop out from college because of financial problems. Yes, his parents are trying very hard for Steve to finish his education (maybe their seeing something inside taht Steve can’t). Steve just couldn’t accept the fact though that his parents’ hard-earned money are going down the drain for him and for his education, and so he dropped out. Even if he dropped out, this doesn’t mean though that he gave up that easily because after a short while he returned to school. He still wasn’t able to graduate, because this time, he took his own learning curriculum into his own hands, enrolling only at classes that he wanted and that he deemed useful. Along with these classes is the calligraphy class that brought us the wonderful fonts that we’re enjoying now. READ iOS 4.2: What’s in store? So, Steve was just enrolling the classes that he wanted, what’s the matter with that? I think that’s great! Wrong. No matter how simple, Steve still worked hard for these classes. He never depended on anyone but himself. He struggled for the roof that he could sleep on. He struggled for the food in his mouth. He struggled with basically anything that has to deal with money. Until one faithful day, a high school classmate, Wozniak made Steve his partner in Apple. Don’t get this wrong though. Steve also struggled to build his company from the ground up. They started their operations under the Jobs’ family garage, and little by little, they built Apple until it is the big Apple that we know today. Again, when life plays with you, it’s not funny. Steve was kicked out of the company that he built himself. Nobody knew nor foresaw that Steve would be returning someday even bigger. That someday came twelve years after. This time, he managed the development of the different iDevices that we know and love today – the iPod, the iPhone, the iPod, and many more. And until the end of his life he struggled. This time with an enemy that’s way above him – with cancer.